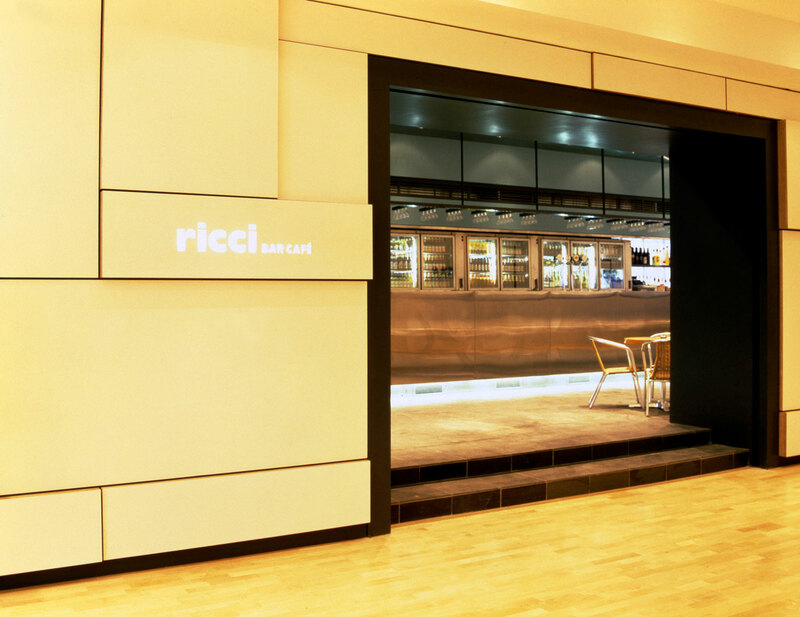 ricci is simple in both plan and concept, providing a natural link between Bold Street and Wood Street in Liverpool. 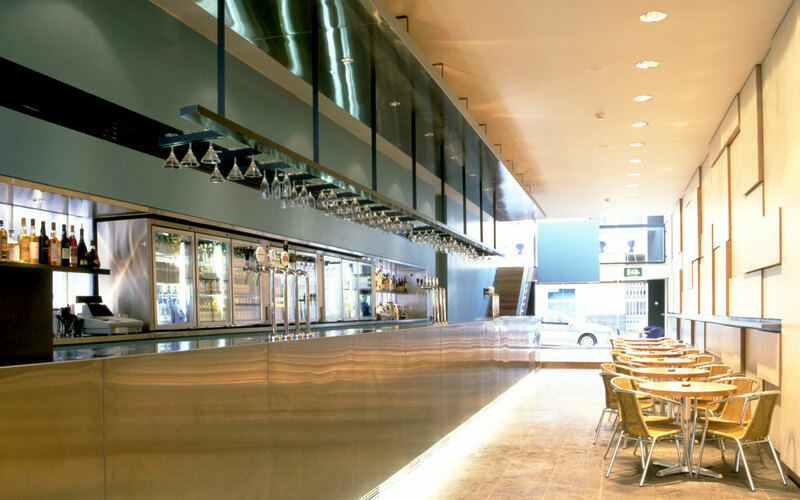 The space is elegant, long and thin, with clean crisp elevations at either end. At Bold Street the existing fascia will allow tables and chairs to spill out onto the pedestrianised thoroughfare – a further example of the café society renaissance in Britain. 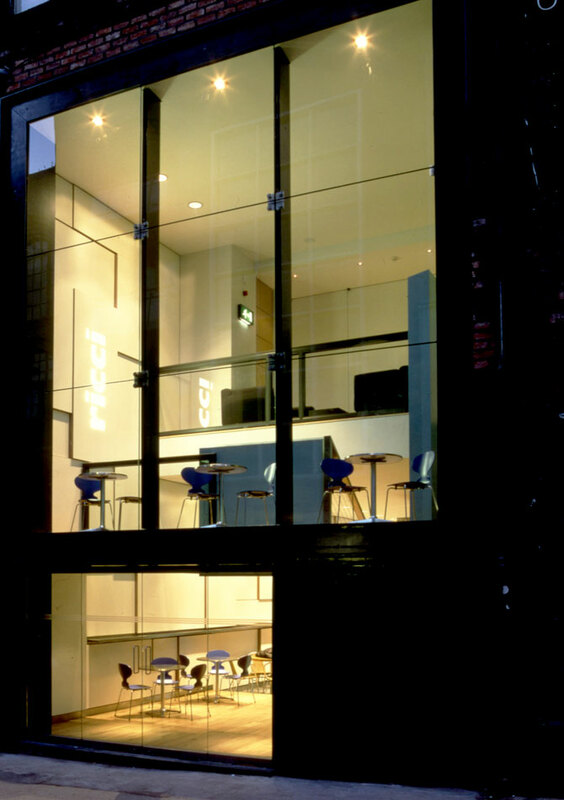 On Wood Street a vast new glazed screen opens the existing rear of the building, to create a complete new focus. 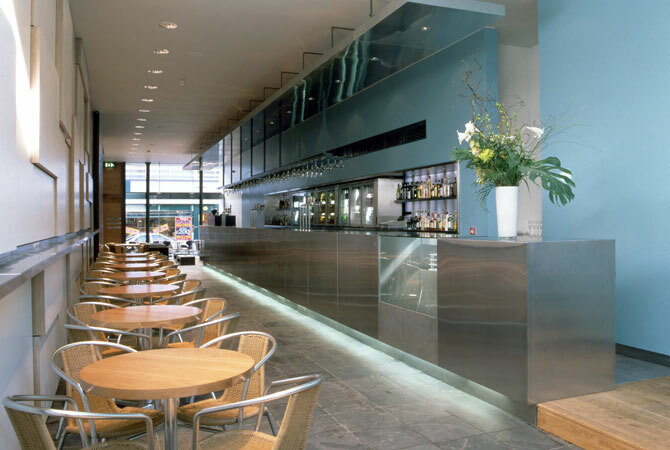 Internally the environment echoes this, with a contemporary identity that sits comfortably with the existing retail areas, as well as the general movement towards more design conscious and discerning public taste. The strong identity is reinforced by the limited number of elements and colour palette. 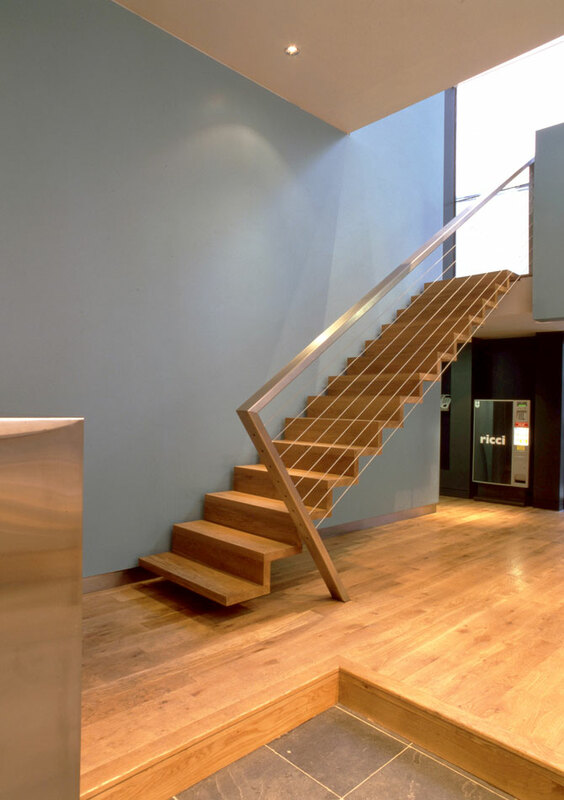 Quality materials and finishes, combined with minimal detailing, to provide a calm, classic atmosphere.